Windows 10 allows you to personalize your PC in cool ways. It gives you the power to make your computer look exactly how you want it. 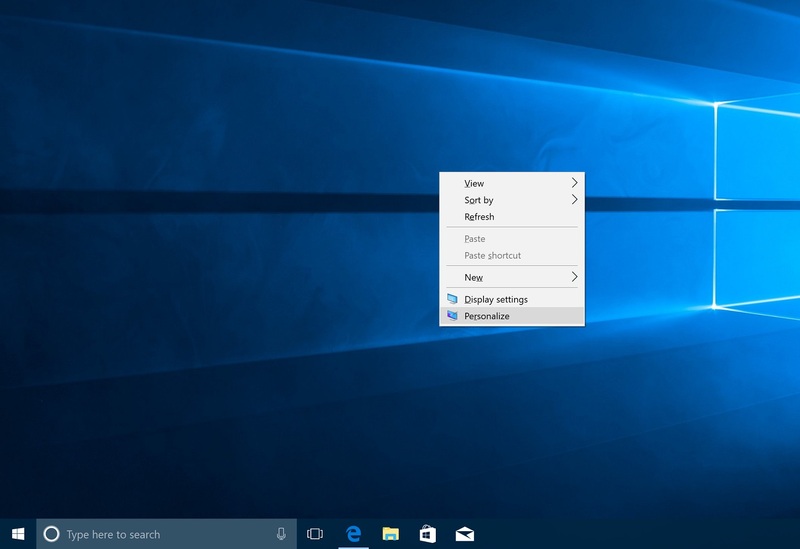 Here are some cool features that allow you to personalize your Windows 10 PC. 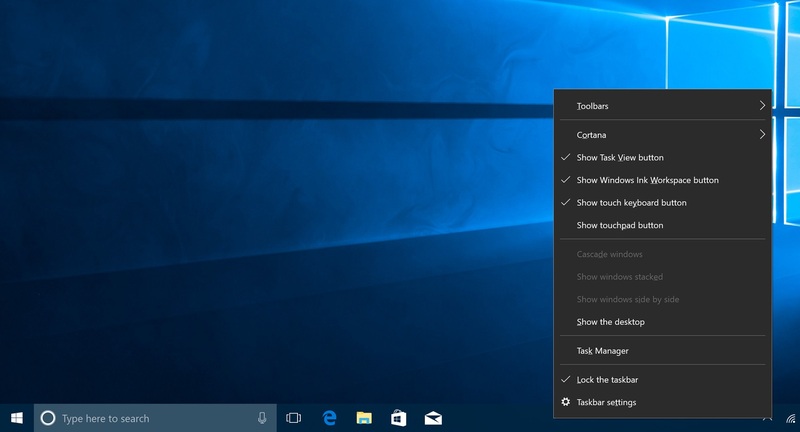 This feature lets you position your taskbar on any side of the screen. By default, Windows has your taskbar at the bottom of the screen. Let me show you how to change this. Right click on your taskbar and select Taskbar settings. 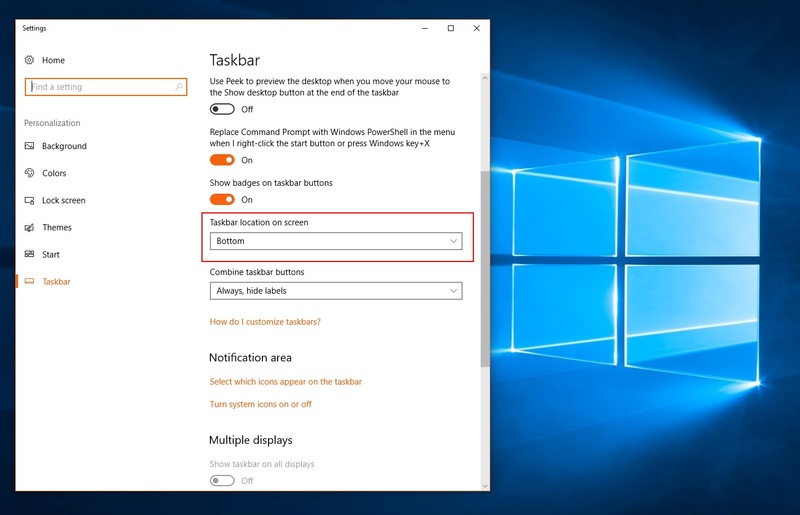 This will bring up your Taskbar settings page. From here, select the drop down for Taskbar location on screen option. This gives you four options to move your taskbar. Select your preferred location and the taskbar will move! This feature lets you create a custom collage of rotating pictures as your background. To enable this feature, right click on your desktop or background of your computer screen and click on the Personalize menu item. 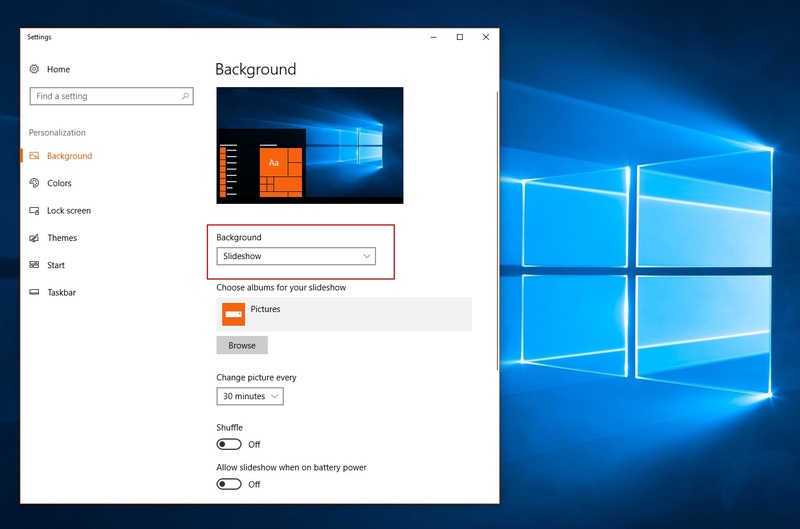 This will take you to your Settings page for the desktop. From here you can select the drop down under Background, select Slideshow, and choose the folder of pictures you want to use in the slide show. Desktop icons are shortcuts to things we want to access easily in Windows. By default, these icons look a certain way. Windows allows you to personalize the look of the icons. This is how to change the look of your default icons. From here, you can select an icon you want to change and select Change Icons. This will open up a new window, showing you a variety of icons to choose from. Select a desired icon and hit OK. You are all done! 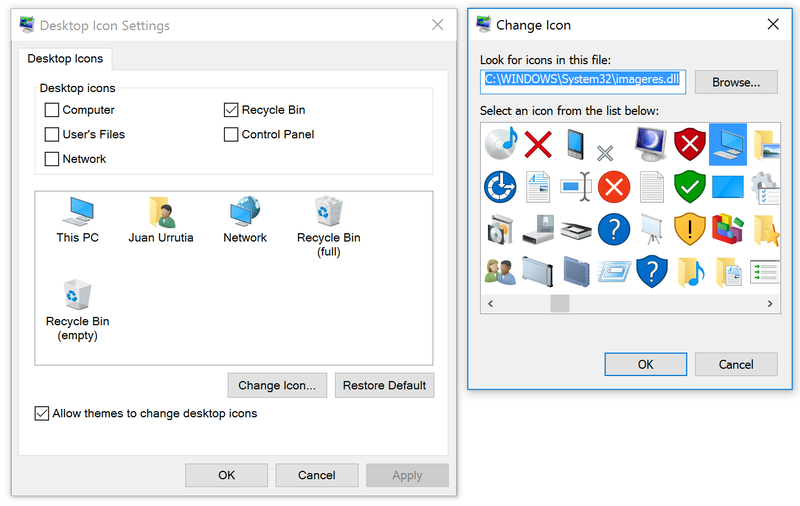 Repeat these steps to change other icons as well. If at any time you want to go back to the default icons, you can do that by selecting “Restore Default” button in the Desktop Icon Settings page. This feature allows you to take personalization a step further by customizing your icons. Tiles: Windows live tiles lets you customize your start menu how you like it. Here is some things you can do with your live tiles to make them your own. Your program list enable you to easily view and open your favorite programs. Program list also shows you your recently added, most used, and suggested apps. To change your program list view, go to Settings > Personalization > Start tab. 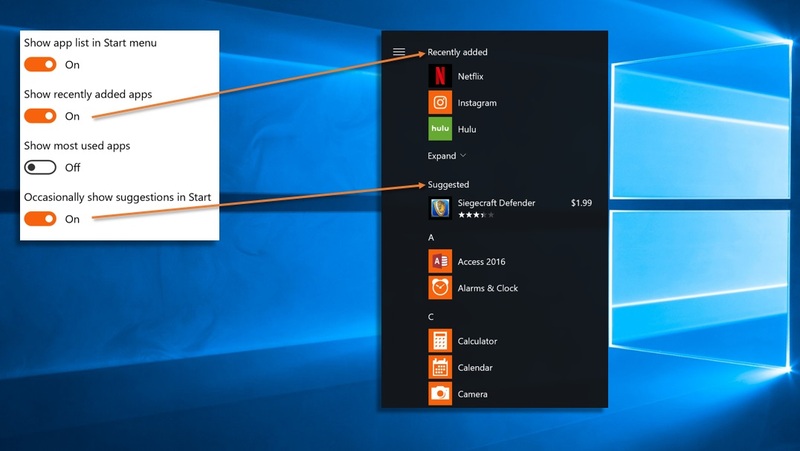 This feature lets you add more buttons to your Start menu for easier access. To do this, go to Settings > Personalization > Start tab > Choose which folders appear on Start. 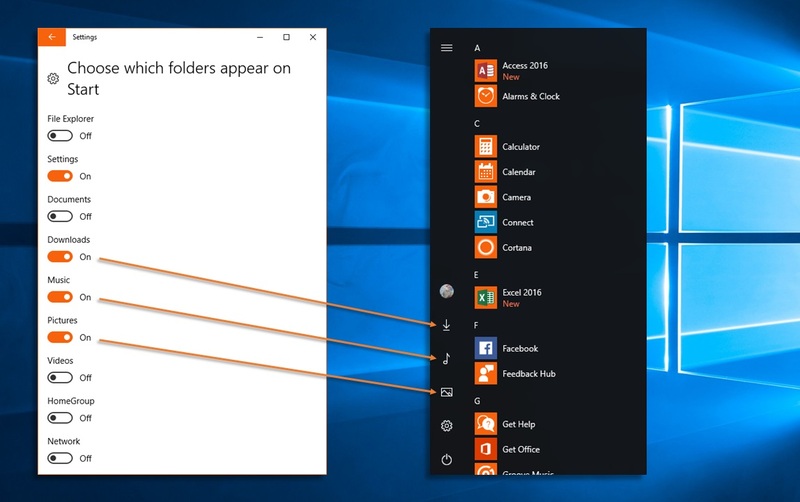 Now you have more icons, which represent folders, for easy access from your Start menu. You can add up to 9 easy-access icons to your Start menu. With the power of personalization, Windows lets you customize your PC for better aesthetics, accessibility, and productivity.